My BFF and I found ourselves back at WOW Istanbul Hotel to spend our last night in Istanbul, Turkey (although we booked a room that didn't include breakfast). 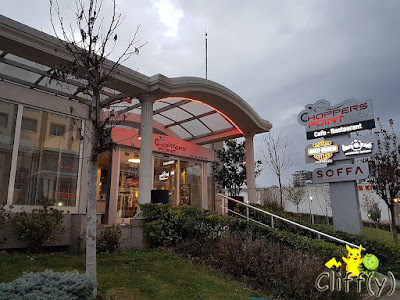 For dinner, we went to Choppers Point, a cool-looking biker-themed restaurant within a short walking distance from the hotel. I didn't expect to see Asian style fried noodle served alongside my main course. 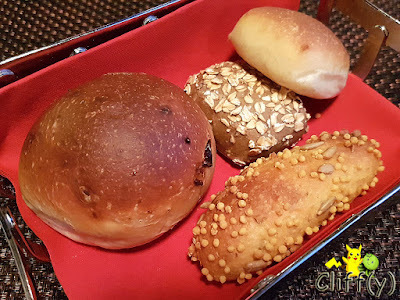 Four different types of bread were offered, though we didn't try any as we were afraid we'd be too full. They didn't seem to be served warm though. 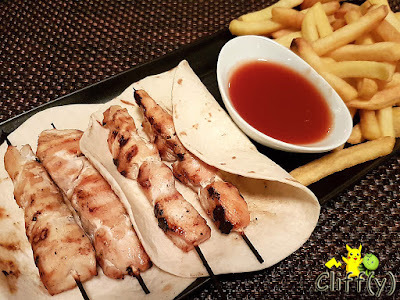 The grilled chicken skewers, served on top of tortillas, were pretty tender without much fats. It came with what's written as sweet and sour sauce in the menu booklet, but it wasn't special as it was somewhat weak and thin. The accompanying fries were very mildly salted and not soggy. I've tried Turkish ravioli called manti at Jura Teras Café, so I thought it'd be something similar. What was served that evening turned out to be different as the ravioli pieces looked more like dumplings filled with lamb. 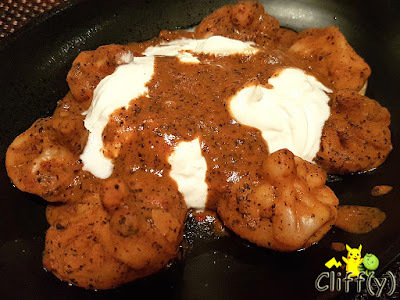 They were laden with yogurt and brown sauce with lots of black pepper. The dumpling skin was too thick for my liking though. 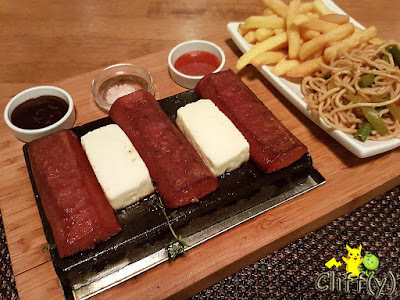 Three blocky Turkish beef sausages called sucuk and two pieces of halloumi (Cypriot semi-hard, unripened and brined cheese) were sizzling on top of a searing hot slab. Accompanied by chili sauce, barbecue sauce and salt crystals, the sausages were tasty as the ground beef was seasoned with sumac, cumin, garlic, red pepper and salt. Fries aside, the noodle was surprisingly executed well without being greasy. 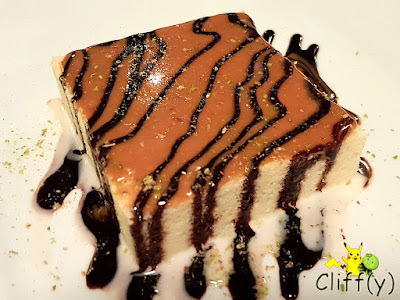 For dessert, we shared a piece of buttery, denser kind of sponge cake. It was laden with caramel sauce, chocolate sauce and condensed milk, but surprisingly not overwhelmingly sweet overall. Given the texture, it didn't absorb liquid easily and thus wasn't soggy. The restaurant is pretty big, but mostly empty without many staff members when we were there. It was pretty hard to get their attention. 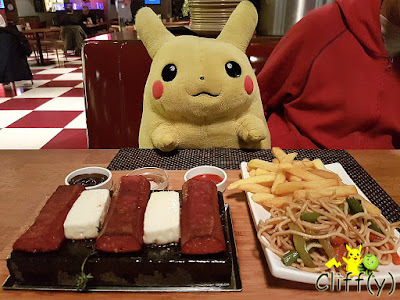 Pika's advice: The dishes served for room service at WOW Istanbul Hotel are essentially from Choppers Point. If you're too lazy to go down, you'll always have that option.